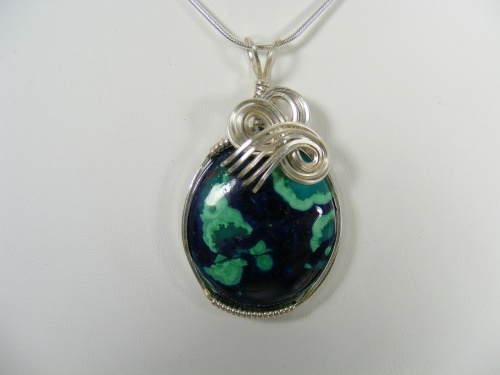 This vibrant and striking Azurite Malachite gemstone is beyond beautiful. Sculpted in sterling silver curls making the colors show up even more. Piece measures 1 3/4" by 1" and comes with a sterling silver chain.